I just got back from the ASMP Roundtable meeting. It was VERY beneficial. It was free. It was filled with industry experts. 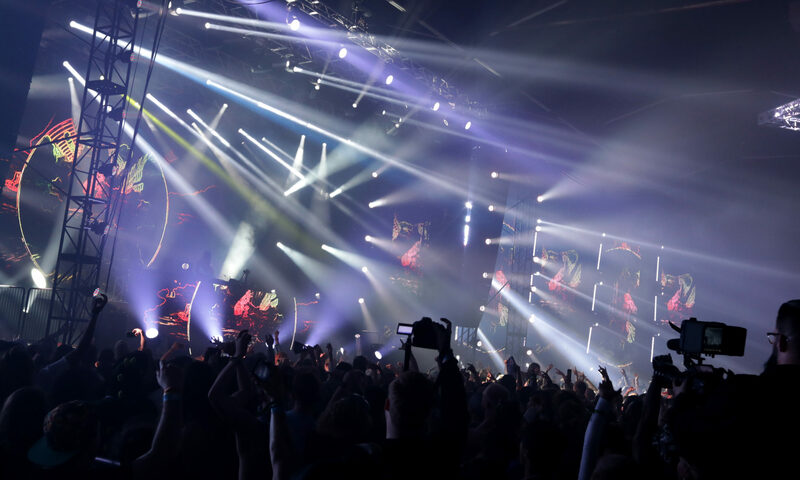 If you didn’t go, you are a complete and total fool. Unless, of course, you are just trying to be a casual/amateur photographer… But then, why are you reading my blog?!? Pretty much all my blogs relate to professional photography and improving/growing your business. My name is Mr. Mike Mcgeeb .I am planning to have my wedding ceremony on April 9, 2009 at Holy Trinity Parish Hall, Marshfield Missouri, 515 East Washington Street, Marshfield MO 65706 . I am looking for a good photographer who will come and do the snap shots on the D-day. 3) I want just one Panoramic images size 18″ x 6.5″ (457mm x165mm) 30 10×8 prints in album. coloured Snapped in the church and at the reception. I want is for me and my wife, Our parents, the officiating ministers and our guests. I will be requiring your service for atleast 6 Hours at both occasions (church and at the reception). The church is Holy Trinity Catholic Church – Marshfield Missouri 515 East Washington Street, Marshfield MO 65706 . If you are out of Missouri, I will pay the transportation charges to and from the party venue so I want you to indicate in your email if you are out of Missouri and state what it will cost you to get transport to Marshfield Missouri so that we both can work it out and also the total amount you will receive for the whole services at the occasion. We will have the photographs snapped at the wedding forwarded to the Publisher of a Magazine Company in U.S so they could feature it in their celebrity journal so due to this, I want the pictures neat and nice. However,I will be making the payment by means of a Check. Let me have your full Names, Address, Phone Number, where the Cheque will be mailed to for the payment.Moreso, should you be out of state, the Hotel accomodation will be provided for by me. Waiting to read from you soon as regards this. Thanks and have nice day. Well, I have received emails like this in the past. Usually, it is some preacher from an African country that plans to hold his big wedding anniversary party in america and the church or city is funding it. Some of the details are different (like the anniversary year – 35th, 40th, 50th), but the idea is always the same. They want you to say that you’ll book their event, out of state (so it’s harder for you to check out it’s validity). They send you a check, often way too big for what you requested. It turns out that the Church sent you the money for photos AND for booking something else (like music, reception room, etc), and you’ll need to send back a couple thousand dollars. Their money order was fake, your money order was real. You got scammed! The fact that they are specifically seeking out photographers to scam is interesting. They know this is more believable than the lame emails about some foreign bank employee (or relative of a king/president/whatever) getting access to $3 million USD, and wanting your help to move it into a US account (you are supposed to get a big cut of the cash for your effort). 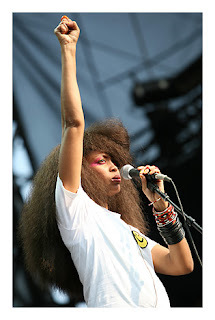 Since the Recent Entries window only holds so many images at a time, you may not see the Erykah Badu shots I’m referring to; but for now, you can search through the bunch and spot them near the end. As I was looking, I spotted a few obvious amateur entries, a few obvious pro entries, and a bunch that were hard to tell which category they entered. 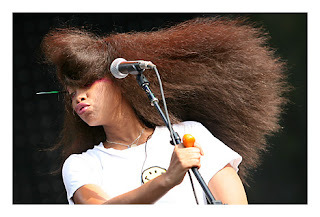 I knew the Erykah Badu shots were in the pro category, simply because they had access to a very restricted area. To shoot from the photo pit at ACL means you MUST have credentials and MUST be with a legitimate publication/media outlet. 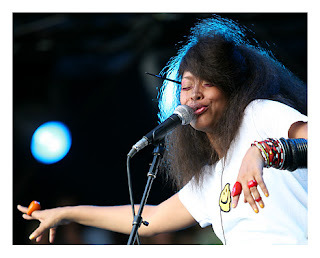 So, here are my thoughts… These Erykah shots are OK, but they sure aren’t amazing. They really aren’t even memorable. They are fine for publication, but are they the best shots around? Are they worthy of winning an international competition? Hmmm… I don’t really see it. Maybe I’m very biased on this subject, but I think my shots are much better than the ones already entered. What’s my point? My point is that many other people have some good images, and many other people have some killer images. These people may be entering against you. This is why you need to edit and think hard and long before wasting money on images that might not be worth entering. Don’t submit something if it’s not your very best work. I’m not saying to avoid entering all together. It’s OK to enter, just don’t submit anything and everything, hoping to win. Be hard on yourself, because the judges don’t care how sentimental an image is to you. The judges don’t know that your mom likes the image. The judges just want to pick the best shot. And someone else just may have a better shot of Erykah. If you truly feel like your Erykah shot is totally killer, then submit it. At some point, you can’t worry about other people in the competition. Just think your entries through first. As usual, there are a few great shots (you can see some of the recent entries on the website), a few average shots, and a lot of bad/blah shots. I contemplated entering last year, going back and forth, but never did. Maybe I will this time… or maybe I won’t. Who knows? By the way, if you plan to submit any images and want some advice before you do, let me know. I’d be glad to look over your work and give some pointers. At $20 to $55 per submission (depending on your category), you may want to get a second opinion and save a few bucks, uploading only your best stuff. If you build it, they will come?!? Always plan ahead, because a self-employed photographer needs to find his next paycheck. It won’t just come walking out of the corn field, like in the movie Field of Dreams. That’s why it was a movie. When: Saturday, February 28, 10:00 a.m. to 2:00 p.m. If you have any questions, please feel free to contact Melody Hamilton, Programs Director, at (214) 236-4806. As a professional photographer, you NEED to get your name out there. Marketing yourself is confusing, tricky, and just plain hard. Modern Postcard, a company that caters to photographers, offers several choices when it comes to promo cards, mailers, and tri-folds. I just received an email from them, and it appears they are doing a short web-based seminar to help educate consumers on the best ways to promote yourself. I’m sure they will be pitching their products and services throughout the webinar, but hey, it’s free and I’m sure there’s going to be plenty of valuable info to take in. If you don’t know what I’m talking about, you have either a.) never had something published, or b.) 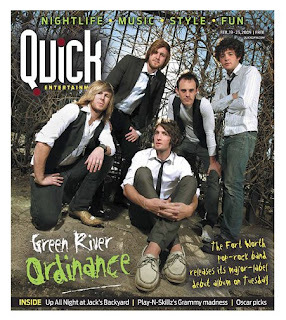 been lucky enough to work with some REALLY talented design and layout people. Let me say this much, many/most design and layout people are NOT photographers. They may understand visual design, but that doesn’t automatically mean they know how to maximize a photos potential. Heck, I’ve had some great page designers absolutely butcher my images, just so the picture would fit their awesome layout. My thinking is this: If the picture now looks like crap, your awesome layout now looks like crap, too. They actually made my image fit in with the design so perfectly, that I didn’t even recognize the shot for a second. To actually elevate the image to something higher, making it truly part of the entire layout takes talent. Now, I’m not saying this is some amazing image. It’s a good photo, but it’s not my best work. But that’s the point here. Quick took my decent (maybe above average at best) photo of GRO, and they made it look impressive (thanks to great font choice, size, placement, angle… heck, everything). So, to wrap up a blog post that went on WAAAAYYY too long: Sometimes you will shoot some purely amazing stuff, only to be disappointed with it when it hits stands. You have no control over the images at some point. But sometimes, you’ll fall in love all over again. You’ll see those shots used perfectly, in harmony with the text, with the entire layout. That’s just one more reason I love shooting for Quick!! !